Formed in 1734, the Limerick Foxhounds have their kennels in Clonshire, Adare, Co. Limerick and are a very well established pack in the West of Ireland. Our annual point-to-point has been a large part of the hunts calendar for many years and continues to be a vital race meeting on the Spring circuit. The current Limerick race track staged our point-to-point for many years when under the ownership of the late Lord Harrington. Many talented riders and horses have graduated from the Limerick Foxhounds point-to-point both when racing on the past venues and presently at Rathcannon. Our race meeting is situated just 40 minutes from Limerick city and just half an hour from the scenic town of Adare, making a trip to Rathcannon point-to-point part of a perfect Family Sunday. From Limerick, take the M20 and at junction 5 exit onto the N20 Cork/Croom road. Stay on the N20 until you reach Banogue at which point the point-to-point will be sign posted from there. The race track is two miles from the village of Athlacca. Shannon Airport is a 45 minute drive from the point-to-point. Cork Airport is located an hour and twenty five minutes away. We have an extensive car parking area which offers a brilliant view of the whole track. This allows you to bring your picnic in the boot of your vehicle which you can enjoy with your family and friends during the day’s racing. We have outside caterers who supply a variety of tasty hot foods such as burgers, sausages and chips along with confectionaries for children of which all are reasonably priced. If you would a treat for the day we also have an ice-cream van in attendance. Our outside caterers sell teas, coffees and soft drinks to keep you warm during your days racing. There are also two pubs in the nearby village of Athlacca where there is always a great welcome and atmosphere for patrons before and after racing. Yes, we allow dogs to attend the point-to-point. However, we do ask that all dogs are kept on a lead at all times. Yes, we welcome visitors to bring their own picnics. No we do not provide an ATM so we recommend that you make a stop at an ATM on your way to the races. Athlacca point-to-point is the perfect day out for the family in the countryside and as an added bonus for parents all children U16 have free admission. Race goers have the opportunity to get a close up of the action when the runners are being saddled and paraded in the parade ring before their race. The fence in our home straight allows you to get a perfect viewing point of each race whether you are on foot or in the comfort of your car. 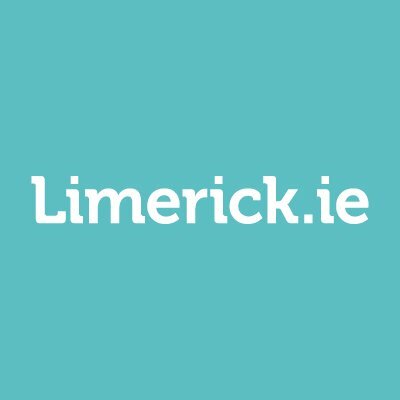 With Limerick city only 30 minutes from the track, there is an endless amount of attractions to keep you busy within the area. The picturesque town of Killarney is only an hour and half drive from the point-to-point. CALLE MALVA could be set for a quick re-appearance having finished fourth at Monksgrange just last Sunday. Whilst no match for two smart looking mares on that occasion, she still ran a very encouraging race nonetheless. There are some nicely bred newcomers entered here and the market will give the best guide as to what can be expected from them. Colin Bowe and Donnchadh Doyle have been two of the big in-form yards to follow in the four-year-old maiden races of recent weeks and their potential runners here offer the pick of the form. Ahead Of Schedule stepped up from his Borris House debut when second just last Saturday at Portrush, whilst stablemate Battle Of Actium also filled the runners-up spot when making a fine debut in a reasonably big four-year-old maiden at Turtulla. Of the Doyle pairing, Firak went close at Ballyarthur, whilst Famous Clermont too offered promise when fourth on debut. GOODOLDTIMES has stayed on very strongly when hitting the crossbar on his two outings to date, including when making up a lot of late ground to chase home Costalotmore at Lingstown last month. The form of that race received some nice boosts last weekend when both the third and fourth placed horses came out and won their maidens, and he will be expected to do so here. Poncherello failed to back up his debut when soundly beaten at Turtulla, but he is worthy of a second chance, whilst Tattletale and Fully Charged both should improvement to finish second of late at Ballyragget and Durrow respectively. The Ask gelding LEMON HILL has been out of luck in two outings this season, failing to complete in both, however she was running a much improved race at Liscarroll most recently, prior to unshipping at the last, and it would not be a big surprise to see her come out on top this. Rockfield Fame was placed on the same card last month and would hold claims in the many races that she holds entries for this weekend, whilst Fired Earth disappointed last Sunday at Lisronagh, but could well get involved on her Turtulla form. For Certified Hunters aged 4 years old and upwards, the property of subscribers to any Hunt in Ireland. 4-Y-O Maidens excluded. No Penalties. Mares allowed 5lbs. If the ground came in his favour, it would be a welcome sight to see last years champion point-to-point horse, SYDNEY PAGET, return to the winners enclosure. He was only narrowly denied at Aghabullogue on his return to action and will surely go close. Former Cheltenham Festival winner Lac Fontana improved to chase home It Came To Pass as Lismore and looks the obvious danger on that basis, with the Sam Curling pair of Some Are Lucky and BL Swagger, and the Alan Fleming duo of Timewaitsfornoone and Gwencily Berbas, others for the short list. ARTIC FEVER has managed to get closer with each of his three outings to date, culminating in just a three-length defeat at Ballynoe last Sunday. If not inconvenienced by the quick turnaround, he would be the tentative selection for this. Verticalpebble ended a run of five consecutive placed finishes when pulling up at Ballyragget. That had been his second start within seven days and the short break could seem him bounce back to his consistent self, whilst Mere Peak, Glorious Ziva and Elton Cross are others to watch out for.